The end of the season is starting to come in sight, which means that teams are starting to focus on playoff qualification. But for the Toronto Raptors, who currently lead the Eastern Conference, the focus is mostly on not giving up that No. 1 spot. Since the Celtics are ½ a game behind the conference-leaders, the Raps need to pull off a win in tonight’s Toronto Raptors vs. Washington Wizards matchup. That’s if they’re going to maintain their current ranking. Let’s take a look at what the evening’s 4 team parlay odds are predicting. Behind DeMar DeRozan’s All-Star season, the Raptors are proudly sitting at the top of the East. The Raptors currently have a 43-17 record, which gives them the aforementioned ½ game lead over Boston. In actuality, Toronto has had this lead for quite a while now. All things considered, they’ve done a pretty good job of holding off the encroaching Celts. 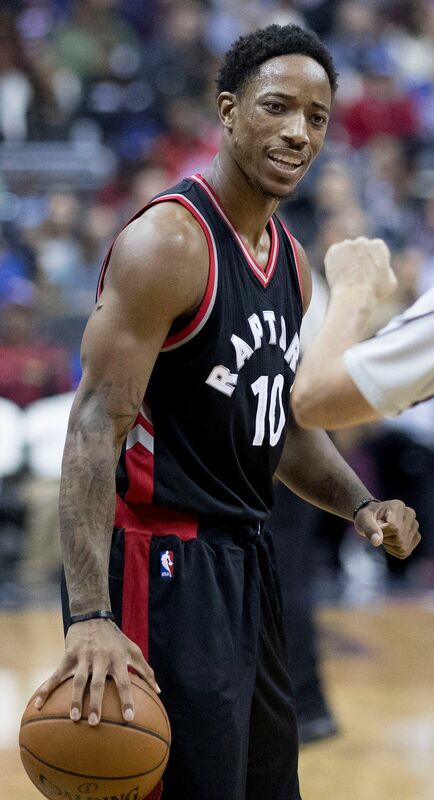 The fact that the Raptors are currently on a 2-game win streak certainly helps. As for tonight’s matchup, it looks like the evening’s betting on basketball odds are going Toronto all the way. Looking over both team’s stats, it’s pretty clear that the Raptors have the upper hand this evening. Firstly, the Raptors come in with the better offense. At the current moment, Toronto is 3rd in scoring in the NBA with an average of 112.3 put up each game. For comparison, Washington ranks 11th in the NBA in scoring. Secondly, the Raptors also come in with the better defense. Since the Raptors rank 8th in points allowed while Washington ranks 15th, it’s clear that bettors should stick with Toronto this evening. The Raptors aren’t the only team with an All-Star on the roster this evening. 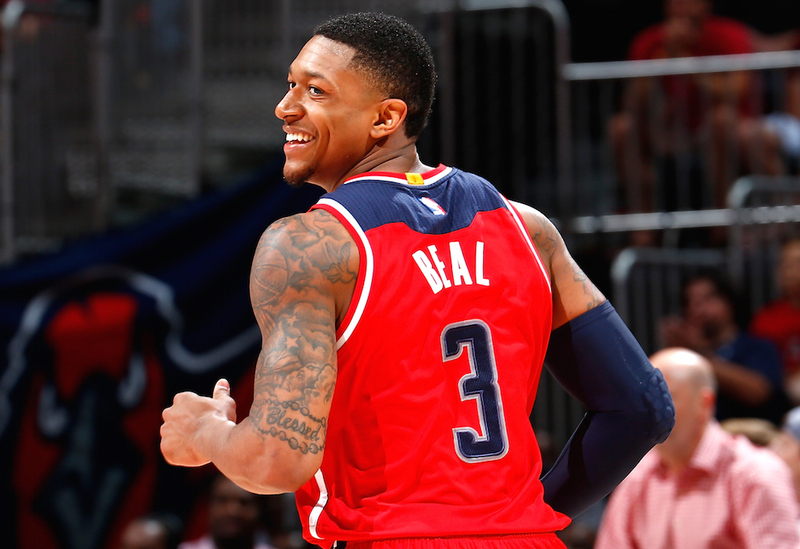 Bradley Beal has been having a phenomenal season and will be looking to lead his team to an upset victory over a conference-leader. Interestingly enough, Beal had the opportunity to do just that the other night when his team faced the Golden State Warriors. But instead of delivering a sportsbook betting upset, the Wizards suffered a 109-101. That puts them as 2-2 over the last 4 games. With that in mind, it’s easy to see why the Raptors are listed as the favorites. So, should NBA bettors side with the odds and take the away team in tonight’s Toronto Raptors vs. Washington Wizards matchup. All things considered, players betting on basketball this evening should stick with the Raptors. The stats clearly demonstrate Toronto is a better team. The Wizards will have home court advantage, but that’s not enough to upset the top dog. However, it should be noted that Toronto has suffered 2-losses against the Wizards this season. Having said that, maybe taking Washington straight up isn’t a terrible idea. Washington should feel pretty confident about their chances at home this evening, considering they’ve already beating Toronto twice. However, it just doesn’t feel right taking the Wizards this evening. All in all, the odds available on the favorite Raptors straight up aren’t half bad. Considering both team’s betting trends, taking Toronto on the money line seems like the best option for tonight. Sign up now to get in on those eye-catching odds! Score Prediction: 115-108 Toronto. The Raptors pick up the road win over Washington and cover the spread. The TOTAL will be OVER this evening.